This is a book that looks at small-press printing from creative folks who make their own prints. It talks about silkscreen, letterpress and woodblock, but the majority of examples shown are actually from screen printing. You get to see photos of interesting workspaces and lots of beautiful prints. For each print featured, there's either a story behind the design or a description of the techniques. It's fascinating to see the designs that the artists and designers can come up with using just a limited set of colours, such as three, but there are also examples of those who use up to twenty. Even simple designs can be striking. What's missing in the book though is a step by step look at how screen printing is actually done. That can be easily found on Youtube. 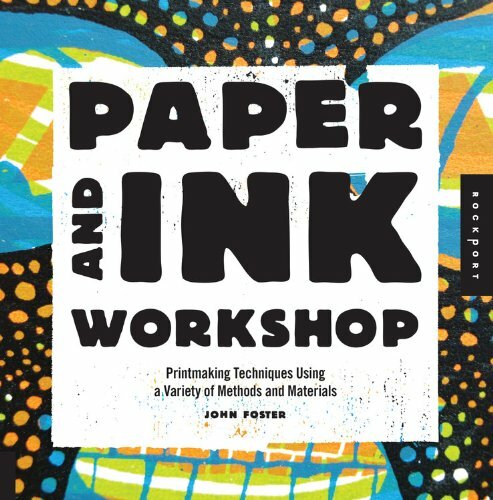 Overall, it's a great book for those into small-press printing, and those who like handmade stuff.